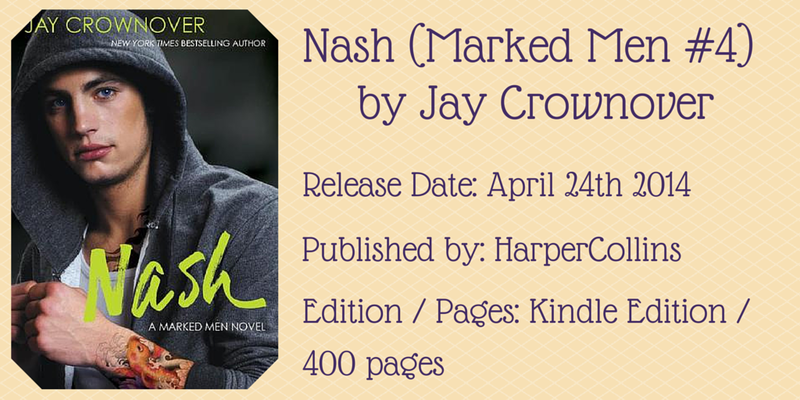 Nash has been in the background of the previous books as a steady character, tattoo artist and all around nice guy. In the previous book Rome we learned about his deep connection to Uncle Phil and the jeopardy that the owner of Marked was really in. We also met Saint in ‘Rome’ as the buxom nurse with a suspicious history with Nash that makes her instantly stand off-ish. Early in the book we learn that when Saint was at high school with Nash she was an awkward chubby girl with a hopeless crush on him. Saint is still awkward and endearing with it. She is struggling with her family life, a crazy ER nurse job and the sudden return of her high school crush who unknowingly broke her heart, Nash. I loved reading about Saint, which I didn’t expect to. She’s a pretty typical ex-fat girl that you read about, still living in the reality that she’s the ugly duckling without realising she’s been the swan for a long time now. This dynamic can get boring really quick (“Just take the compliment and work it dammit!”) but she develops just enough as a character throughout the book it’s fine. Nash is dealing with so much in this book its mind boggling to think he would have time to pursue a relationship. He is dealing with the reality of the man that raised him being taken from him, watching him die in front of him and being completely helpless. Add that to the fact he has been put partly in charge of renovating and starting a new business, he’s having a rough time to say the least. Instead of feeling like the romance with Saint is a waste of his time it develops to the most healthy yet co-dependant relationship i’ve ever seen in NA. Saint needs someone in her life to make her open up and prove not all relationships end the same miserable way. Nash needs a rock to cling to when his whole world is being turned upside down. They are each others perfect partner without trying to be or ever changing who they really are. Nash was no way near my favourite character from the series, I never really felt for him until tragedy hit him. Saint, on the other hand, I bonded with straight away. She’s caring almost to a fault, selfless yet makes terrible mistakes. She’s possibly the most well rounded female character from the series and a favourite of mine. The ending had us introduced to Salem, the new receptionist for our Marked boys. Salem had one hell of an entrance and I can’t wait to see how her history with Rowdy comes into play!